Hope is the thing with feathers, according to Emily Dickinson. A good walk with birds is the thing for my mental outlook. So much to do at home, but the dark rainy morning had changed to a gorgeous sunny afternoon. 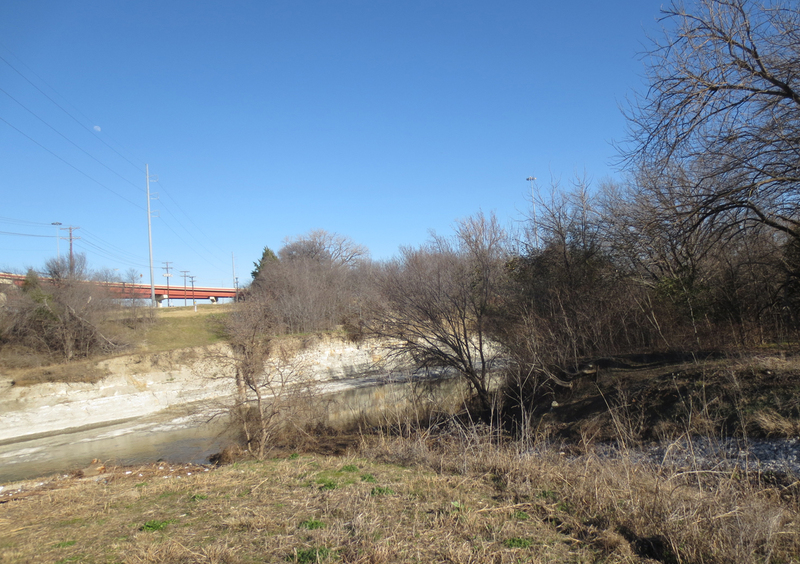 The sunshine grasped me in her talons and dragged me through the bright blue sky to the trailhead at Renner Road and US 75. 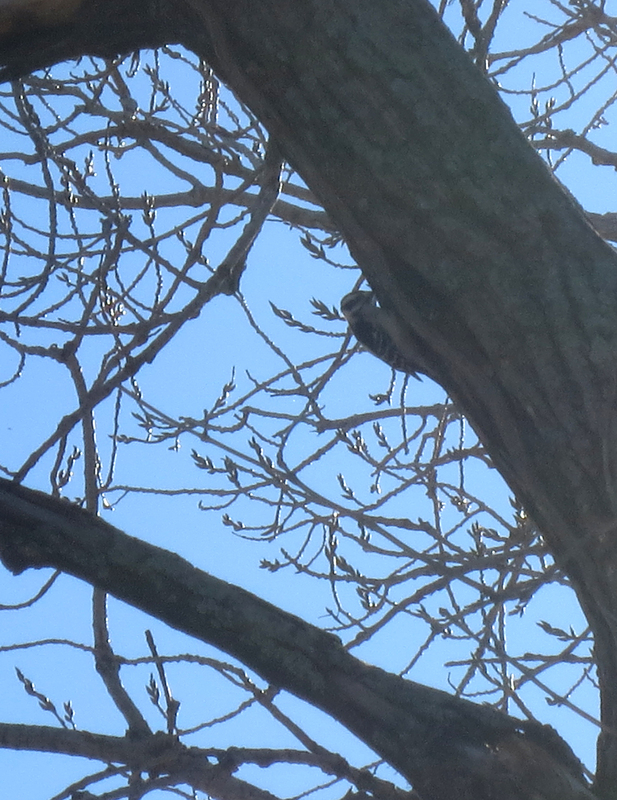 Greeted by a woodpecker. Under the watch of a kestrel. A red tail hawk circled overhead. 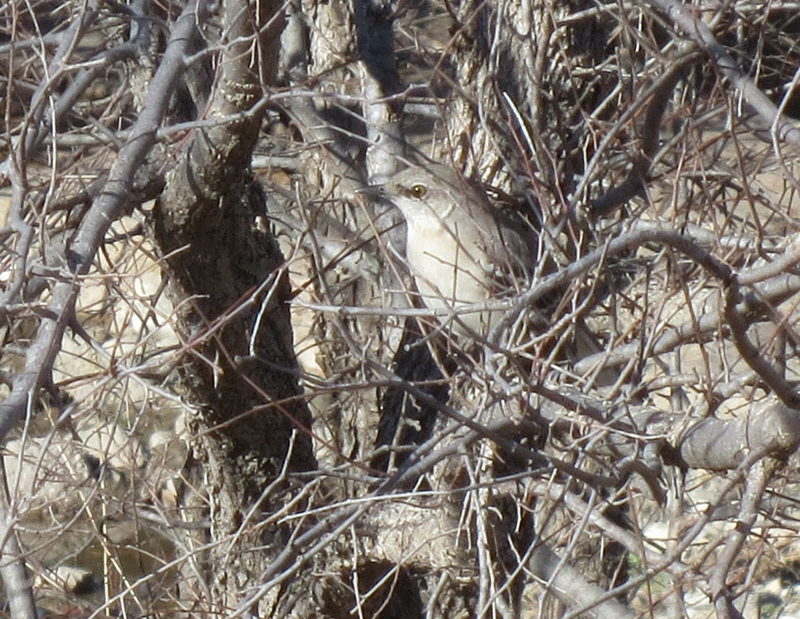 A mockingbird posed. 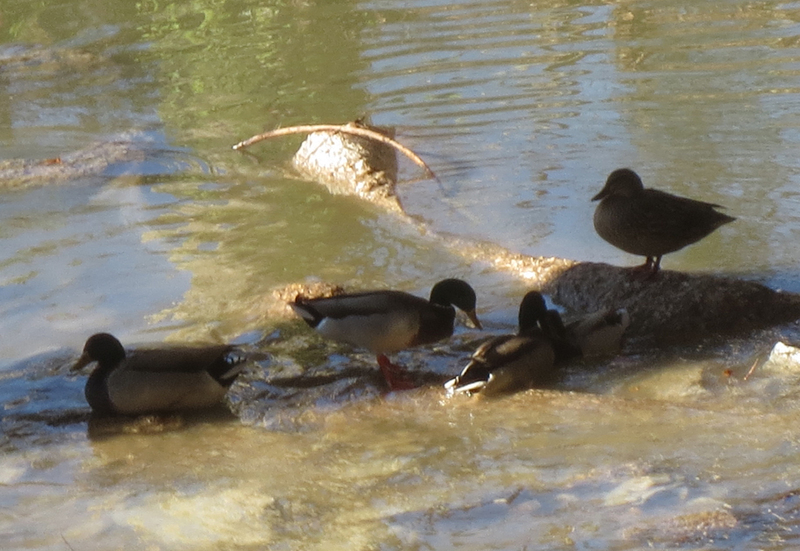 Mallards bickered and bullied in Spring Creek under the highway. Kestrel photo good enough for an ID. 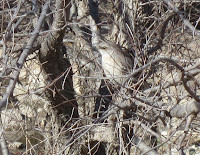 Odd, loud, buzzy, rattled bird calls tantalized me as I got closer to the US 75/190 George Bush tollway interchange. 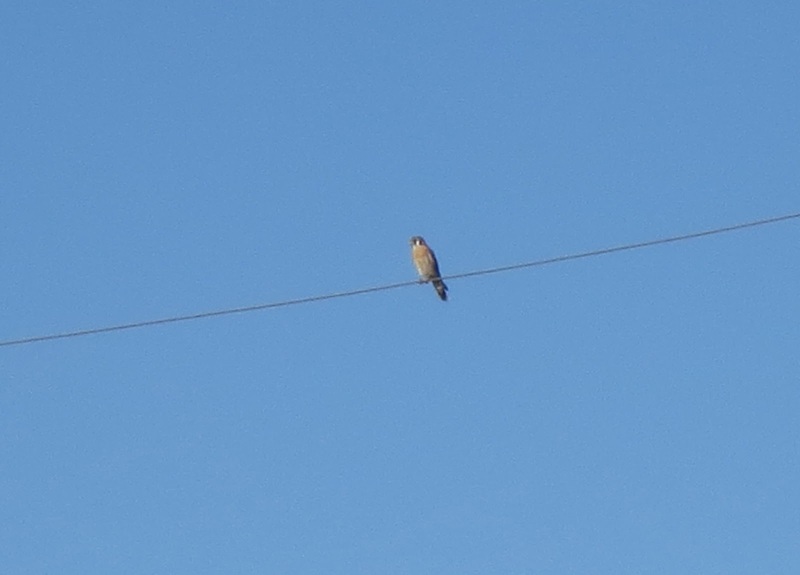 The buzzy calls led to a pair of kingfishers on a telephone wire above the creek, but under the highways. No mistaking the shape of the kingfishers, or the glorious blue when they swooped along the creek declining to be photographed by the paparazzi. 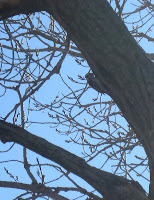 Teeny brown birds in a budding tree consented to photos but declined to be identified. 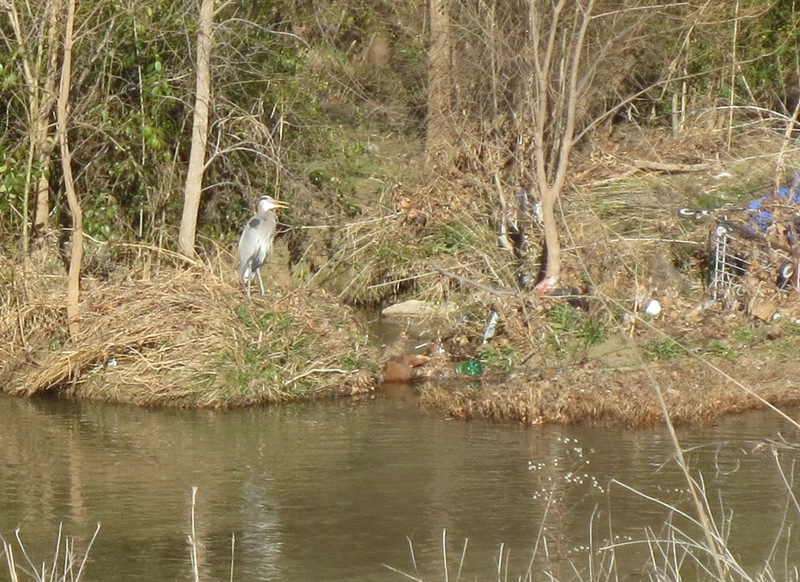 On the way back I spotted a heron looking scruffy near a heap of trashed grocery carts. Something was bothering me earlier. I wonder what it was... besides the ugly grocery carts. Hey, now I am getting the ERROR message at YOUR blog. But I was trying to say I enjoyed your walk with birds. Since mine was covered with snow. My walk. So I shoveled it. Now I can't even comment on my own blog without getting the error message. Is this a Blogger problem? Chinese military cyberhacking? Is my blog just getting too chubby? Your bird photos are so much more...birdy than any of mine have ever been. Do you have a zoomy lens thingy? Oh, Kim, someday when money falls from the sky like rain I will get a camera with birdy zoomie things (these are technical terms). My camera is a Canon PowerShot ELPH110HS, and it can only zoom out 16x gigawhoozies. You must change your purse.